CCTV Security FAQS: How to prevent False Alarms? Nothing is more annoying than rushing from office to your home and finding out that the alarm alert that you just received is a False one! After all when it comes to your Home protection, you would want to take each alarm as seriously. I just read on www.mouthshut.com about security alarm reviews and was determine to gather few reasons for False alarm to share with Owners of existing alarm system and others who would like to invest in one. Security alarm is meant to add the convenience of putting all your security worries at rest . A Reliable Security system is the one which ensures complete safety, low false alarm rate and quick response methods. Which make the opting of a good quality system even more important. 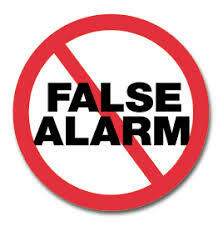 READ FURTHER for common reasons of false alarms, features in an alarm system which ensures Low false alarm rates and our recommended security alarm for Indian Home and offices. 2) Connection to the Sensors are loose- The loose connection at the control panel end or the device end can also result in a false alarm. The sensor, magnetic switches should also be of a good quality. 3) PIR sensor is not located properly- Many False alarm problem arise due to PIR Sensor location and environment in which it is Installed. 5) Sensor Frequency conflicted by other equipments- Most of the wireless alarm system works on RF based frequency. Some times this RF frequency is conflicted by other equipments and it gets a false alarm. For Example you have wireless door bell and wireless alarm. Its may get an alarm when someones presses the door bell. 6) Lack of operational Knowledge- The system owner should understand the proper functioning of the alarm and should also educate the other users. The system owner should periodically test the system and ensure that the system is serviced on time. 1) Zone response time- Each zone should have respond time up to 300 Micro Sec. 4) Battery Charging and Protection Unit. 3)periodic report through communicator to CMS. 4) Tamper proof cabinet and wiring. 5) Inbuilt digital communicator and Auto- dialer. 6) 12 V Battery backup with intelligent charging unit, deep-discharge protection. 7) Compatible with wire/wireless switches and sensors. 9) Smart sleek look panel with LCD display and onboard keypad. 10) Includes 2 remote for arming/disarming and optional external keypad.